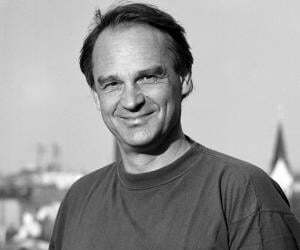 Gerd Binnig is a German physicist known for the invention of the scanning tunneling microscope which earned him a share of the Nobel Prize in Physics in 1986. He also invented the atomic force microscope, which helped to develop the new field of microscopy. Born in Frankfurt, West Germany, shortly after ending of the World War II, he grew up playing among demolished buildings as a young boy. He loved science from the very beginning and was just ten years old when he decided to become a physicist. As a teenager he questioned his childhood decision as he was now more interested in playing music in a band. Nonetheless, he proceeded to study physics at the J.W. Goethe University in Frankfurt, completing a bachelor's degree in 1973. After earning his doctorate he joined the staff of the research laboratory operated by International Business Machines (IBM) in Zurich, Switzerland. It was here that he met Heinrich Rohrer with who he would collaborate to perform important research in future. The pair’s relentless work led to the development of the scanning tunneling microscope (STM) for which the duo won a share of the Nobel Prize in Physics in 1986. 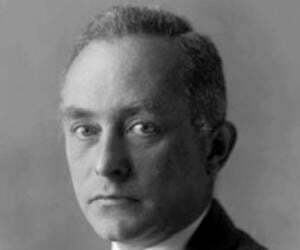 Binnig also invented the atomic force microscope (AFM). Gerd Binnig was born on 20 July 1947 in Frankfurt am Main as one of the two sons of Ruth Bracke Binnig, a drafter, and Karl Franz Binnig, a machine engineer. The World War II had ended shortly before his birth and he spent his childhood happily playing in the ruins of the city, his young mind unable to fully comprehend the graveness of the situation. 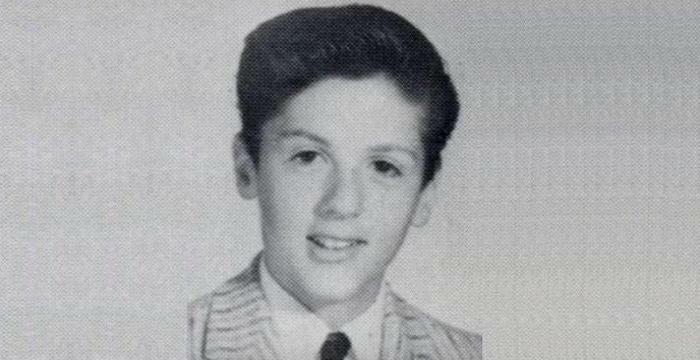 He loved science from a young age and was just ten when he decided to become a physicist. Introduced to music at an early age, he began focusing more on honing his musical skills as a teenager and played with the school orchestra. He started studying physics at the Johann Wolfgang Goethe University in Frankfurt and earned a bachelor's degree in 1973. He then proceeded to do his PhD at the same university, supervised by Eckhardt Hoenig. His Ph.D. was on superconductivity. In 1978 he joined the research laboratory operated by International Business Machines (IBM) in Zurich, Switzerland. There he met Heinrich Rohrer, Christoph Gerber and Edmund Weibel with who he worked as a team. 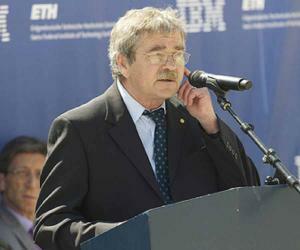 Rohrer, who also had a background in superconductivity had been at the IBM lab since 1963. Binning and Rohrer began experimenting to explore the characteristics of the surface of materials. One of their initial experiments was to look at miniscule areas on extremely thin films using the specialized tool of spectroscopy. However this method did not work out the way they had expected and the scientists were forced to change course. The duo began exploring the phenomenon of tunneling, a process through which electrons can tunnel through a vacuum from a sample solid surface to a sharp, needlelike probe. Their experiments using this method proved to be successful and they were able to design and build the first scanning tunneling microscope (STM). A series of improvisations led to the creation of a probe tip consisting of a single atom. The invention of the STM was a very significant one and the research team at IBM soon demonstrated practical uses of the STM, revealing the surface structure of crystals, observing chemical interactions, and scanning the surface of DNA (deoxyribonucleic acid) chains. An extremely powerful microscope, it had important applications for not just basic research in chemistry, physics, and biology but also for applied research in semiconductor physics, microelectronics, metallurgy, and bioengineering. 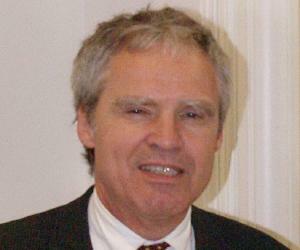 Binnig became group leader at IBM's Zurich lab in 1984 and was appointed an IBM fellow in 1987. The same year he also took over as head of the IBM physics group at the University of Munich. Continuing with his research work, he proceeded to develop the atomic force microscope (AFM) in 1985. He also worked as a visiting professor at Stanford from 1986 to 1988. He launched his own company, Delphi Creative Technologies GmbH, in 1994. The firm eventually became Definiens Cognition Network Technology and is now a subsidiary of Definiens AG, and develops knowledge-based systems. 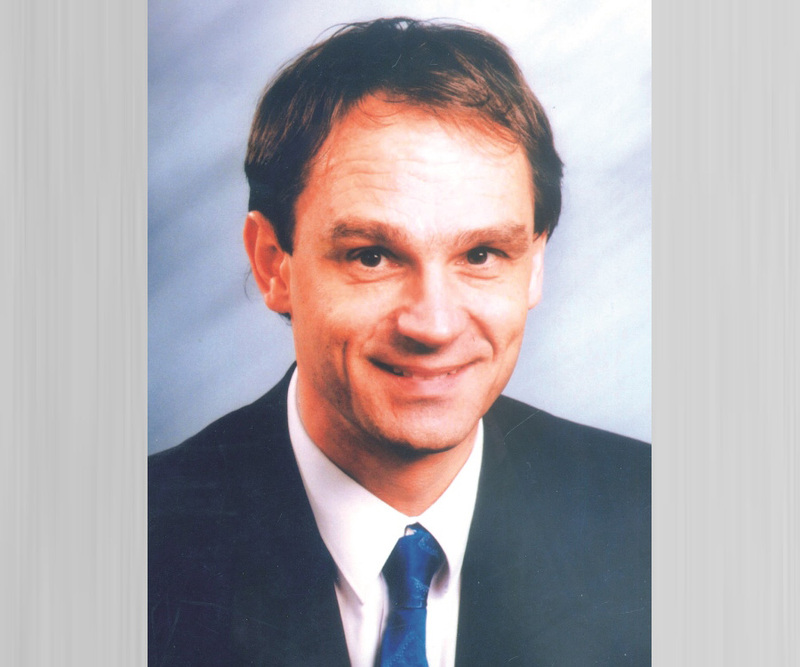 Binnig stepped down from leadership of the IBM physics group in Munich in 1995 to serve as a permanent consultant to Definiens AG while continuing to be a research staff member at IBM's Zurich Research Laboratory. Gerd Binnig and Heinrich Rohrer developed a scanning tunneling microscope (STM), an instrument for imaging surfaces at the atomic level. The STM can be used not only in ultra-high vacuum but also in air, water, and various other liquid or gas ambients, and at temperatures ranging from near zero kelvin to a few hundred degrees Celsius. 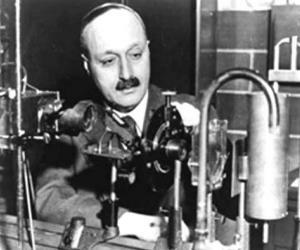 Binning also invented the Atomic-force microscopy (AFM) or scanning-force Microscopy (SFM), a very-high-resolution type of scanning probe microscopy (SPM), with demonstrated resolution on the order of fractions of a nanometer, more than 1000 times better than the optical diffraction limit. Gerd Binnig and Heinrich Rohrer were jointly awarded one half of the Nobel Prize in Physics in 1986 "for their design of the scanning tunneling microscope." The other half was awarded to Ernst Ruska "for his fundamental work in electron optics, and for the design of the first electron microscope." He won the Elliott Cresson Medal in 1987 for the development of the scanning tunneling microscope. He shared this honor with Heinrich Rohrer. The Binning-Rohrer team also received several other awards including the German Physics Prize, the Otto Klung Prize, the Hewlett Packard Prize and the King Faisal Prize. Gerd Binning got married to Lore Wagler, a psychologist, in 1969. The couple has two children.